Your smile is one of your most attractive features. In fact, a study done by Orbit complete found that 69% of people found women with a great smile more beautiful than women wearing makeup. In addition, people with a great smile are more likely to smile more, be happier, and even be promoted in the workplace. You may be a candidate for cosmetic dentistry if you are looking to improve one of more aspects of your smile including color, spacing, alignment, or the shape/size of your teeth. You may also be a candidate for cosmetic dentistry if you currently have damaged or missing that are in need of repair or replacement. To find out if you are an ideal candidate for cosmetic dentistry, schedule a consultation with Dr. Simpson of Appletree Dentistry today! 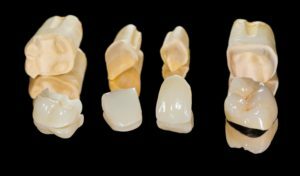 What cosmetic dental option is the best for me? Choosing the best cosmetic dental treatment can be tricky because there are so many options available. When deciding which cosmetic dental treatment to choose, you will want to consider your current smile, financial budget, commitment to treatment, and overall treatment goals. When thinking about your current smile and overall treatment goals, you will want to focus on identifying specific aspects of your smile that you would like to change. For example, do you want to remove stains or correct alignment? Perhaps both? Make a list of the things you would like to change and then prioritize them. This will help you to establish what your treatment goals are. 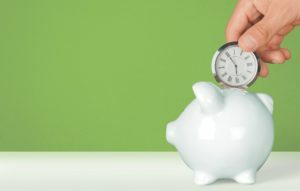 You will also want to consider what your financial budget is. Cosmetic dentistry has many different options available and some are more expensive than others. Some treatments can also correct multiple imperfections at once, which may help to “bundle” the cost and decrease the amount of individual treatments you need to pay for. Finally, you will also want to consider what your commitment to treatment is. Some cosmetic dental treatments can be completed in a single office visit with minimal to no downtime, while others require multiple office visits and possible recovery periods. This is something you will want to consider when choosing a cosmetic dental treatment. 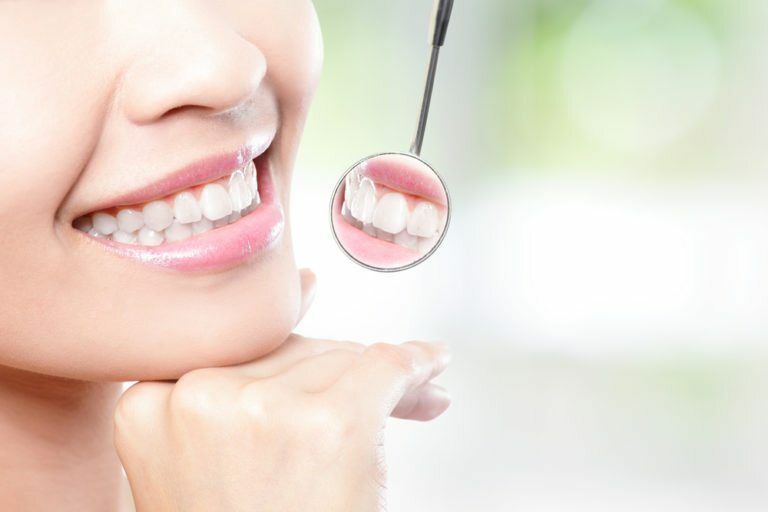 What can I expect when receiving cosmetic dental treatment from Appletree Dentistry? Prior to receiving cosmetic dental treatment, Dr. Simpson will perform a consultation and ask you about your treatment goals. He will then assess your current smile and oral health in order to make recommendations about which cosmetic dental treatment he believes is the best course of action. Together you will decide on a treatment plan moving forward. Your expectations for cosmetic dental treatment will be dependent upon the type of cosmetic dental treatment you choose. As mentioned before, some cosmetic dental treatments are less invasive than others. During your consultation, Dr. Simpson will thoroughly explain what you can expect from the cosmetic dental treatment you are considering. What can I expect after receiving cosmetic dental treatment from Appletree Dentistry? Your expectations following your cosmetic dental treatment will also depend upon the type of treatment you chose. Depending on the type and extent of your treatment, you may be provided with post-treatment guidelines to follow. These guidelines generally deal with a modified oral health routine, temporary diet restrictions, keeping the treatment area clean, taking medications, and possible routine alterations. No matter what type of cosmetic dental treatment, it is always important to continue practicing good oral habits to keep your teeth healthy. 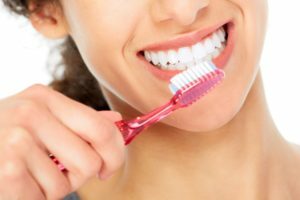 These consist of brushing twice a day for two minutes with fluoridated toothpaste, flossing once a day, and visiting Appletree Dentistry at least twice a year for your dental checkup and professional teeth cleaning. How long will my cosmetic dental treatment last? The lifespan of your cosmetic dental treatment will depend on how your body responds to treatment, the type of treatment, and your personal and dental habits. Cosmetic dental treatments have a variety of lifespans, with some shorter than others, so it is important to discuss this with Dr. Simpson prior to your treatment. It is also important to determine if your cosmetic dental treatment offers temporary or permanent results. An example of a temporary cosmetic dental treatment would be teeth whitening, because the results last only a few years before the procedure needs to be repeated. An example of a permanent treatment would be a dental implant, because the titanium roots are embedded into your jawbone and are generally not removed. Basically, a permanent treatment option is anything that irreversibly changes the structure of your natural teeth. After having cosmetic dental work done, no matter what kind, it is important to avoid damaging behaviors so that your results will last longer. Such behaviors can include smoking, nail-biting, chewing ice, and using your teeth as an opener. Remember, both teeth treated with cosmetic dentistry and your natural teeth can become broken, chipped, or loose as a result of these behaviors. That depends. The cost of your cosmetic dental work is based on the type of treatment performed and the extent of this treatment. In some cases, the location in your mouth where the treatment is being performed can also factor in. Before starting any dental work, Dr. Simpson will go over the financials of your anticipated treatment. Depending on the type of treatment, you may or may not be able to receive coverage from your dental insurance companies. Many dental insurance companies do not offer coverage on cosmetic procedures, however some will offer partial allowances. Financing options are also available to help you get the correct treatment. Another thing you will want to consider about the cost of cosmetic dental work is that treatments with higher upfront costs generally require less replacements, and the fees associated with them, over time. Conversely, cosmetic treatments with lower upfront costs generally require more replacements and small fees for these replacements over time.